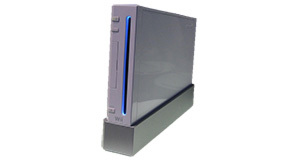 There are no solved problems listed on our records for this Nintendo Wii game. To submit a problem or give a solution for an unsolved problem, please see the list on the right. There are no unsolved problems listed on our records for this Nintendo Wii game. To submit a problem or give a solution for an unsolved problem, please see the section below. All problems on this page have been submitted and answered by users. If you have a problem with Activision's Ice Age 3: Dawn of the Dinosaurs , please submit it below and we'll post it here. If a game isn't loading, check for dust or dirt in the game slot. Remember that the Nintendo Wii is region locked and that games bought outside your country may not work. World Championship Poker: Featuring Howard Lederer "All In"
High School Musical: Sing It! Swing Golf PangYa 2nd Shot! !